“It’s my private mountain. It belongs to me. The new film, “Sky Island,” a half-hour documentary by nature filmmaker John Grabowska featured on PBS (debut 7-10-2011), takes viewers to Georgia O’Keeffe’s mountain and beyond to examine how climate change is affecting this rugged and delicate land of ghosts and shadows. 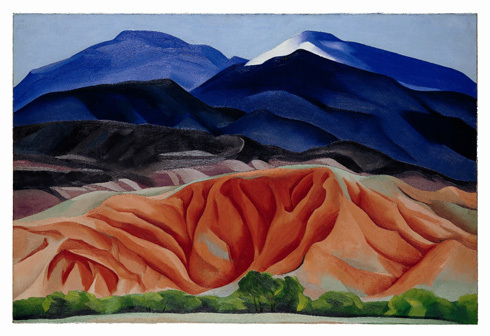 The Jemez Range where O’Keefe worked for nearly a half century is a collection of peaks as high as 11,000 feet centering on the great Valles Caldera. Now a green swiped valley, the caldera is the remnant of a volcano that last erupted 50 or so millennia ago. 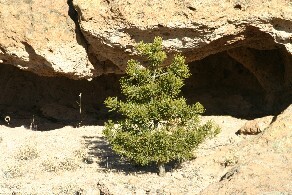 The Jemez range hugs the western bank of the Rio Grande, about 30 miles southeast of Santa Fe. 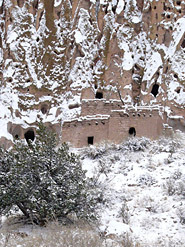 It’s a land of ancient pueblos, petroglyphs and cliff dwellings that reach back at least 10,000 years. Reviewed by Miller-McCune editor Michael Todd, the film is co-narrated by actress Meryl Streep and poet M. Scott Momaday. Much of the credit for the eco-science in Sky Island goes to Craig D. Allen of the U.S. Geological Survey. Allen, a desert ecologist, has spent his entire scientific career in northern New Mexico. “Climate change presents no threat to the continuation of life on Earth,” Streep says in the film, “but it will determine which (species) survives, and how.” Among those likely losers are endemic species like the Jemez Mountain salamander and the American pika. Pushed ever higher toward the sky, they are already at the limit of their range — they have nowhere to go. 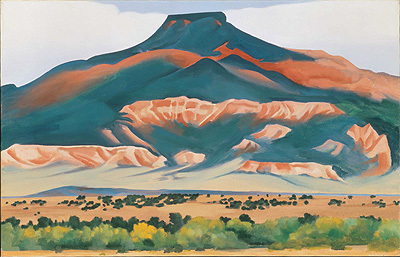 Piñon nuts provide sustenance for many woodland creatures and a wild harvest cash crop for the local people, were part of the landscape immortalized in many of O’Keeffe’s paintings, Todd notes. But, overgrazing and fire suppression have allowed woody plants like the piñons to invade areas that had been historic grasslands. Now climate change is returning these former forests to grasslands again that can probably better withstand the climate’s changes and survive in a likely drier future. 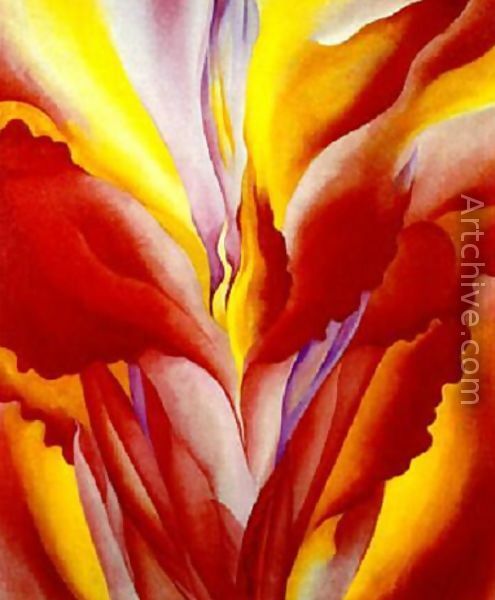 “Everyone has many associations with a flower–the idea of flowers. You put out your hand to touch the flower–lean forward to smell it–maybe touch it with your lips almost without thinking–or give it to someone to please them. Still–in a way–nobody sees a flower–really–it is so small–we haven’t time–and to see takes time, like to have a friend takes time. If I could paint the flower exactly as I see it no one would see what I see because I would paint it small like the flower is small. At the very end of the film we fly right over Cerro Pedernal, the mountain where Georgia's ashes were strewn — her private mountain. 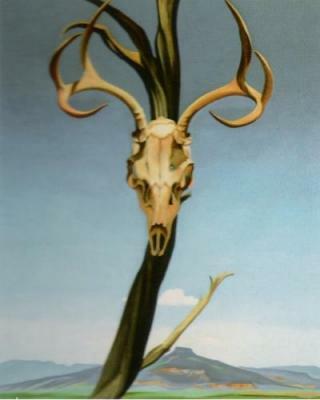 John Grabowska chose well his images. Thank you for this comment, for offering the perfect ending to this post, for settling the sacred over the beautiful Jemez mountains.